Like most people, I hate writing about myself, but here goes. I started playing guitar in the early 80's, inspired by the guitar Gods of the day. Back then, there was no internet or YouTube of course, so I had to actually open up a book to learn about the theory and inspiration behind the notes. That, and a lot of practice, helped me become a better musician. I also had a great love of films. I always cared more about who directed a film than who starred in it. I knew where the vision of the film was coming from, and most times, it wasn't the "star". I also understood the importance of music in the films I watched, the emotional impact it added, the feelings it generated. And I knew someday, I wanted to add that impact. So, after playing 100's and 100's of gigs with many different cover bands all over the Twin Cities, MN area. I made the decision to follow my dreams and set up my studio and concentrate on composing for film, TV, games, etc. Which brings us to present day. I'm still playing gigs, just not nearly as frequent. Currently, I play guitar and am a songwriter in an all original music band called Metal Ships, and also play in an Iron Maiden tribute band called Maiden Minneapolis, a nod and tip of the cap to my roots growing up. 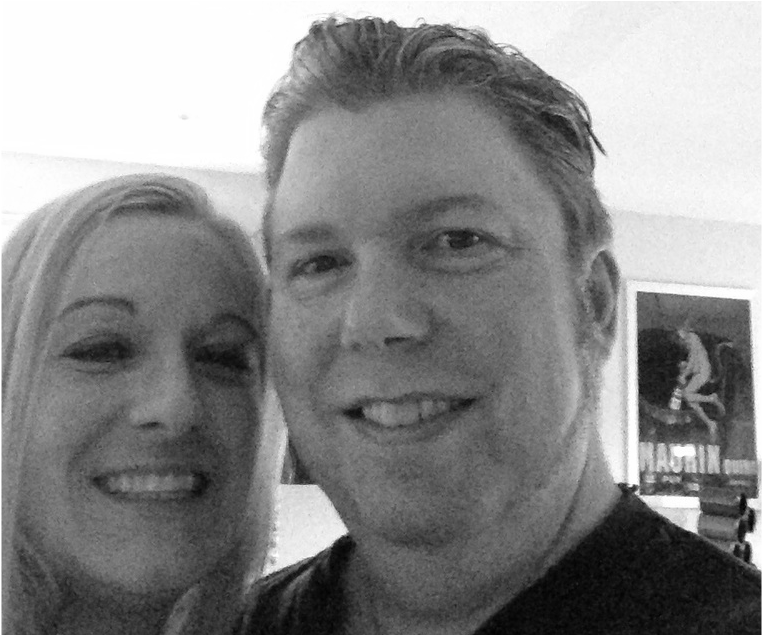 My wife Kelly and me. She is a software developer and helps keep my computers running. Every composer should have one! We have five four legged kids, in addition to my son, Brandon Williamson, and stepson, Connor Lehman.